Character Stuffed Animals Over 50% off! Prices Start at Only $1.99! Sweet! Head over to Best Buy and shop their cute Character Stuffed Animals for over 50% off! It looks like prices start at only $1.99 for a set. 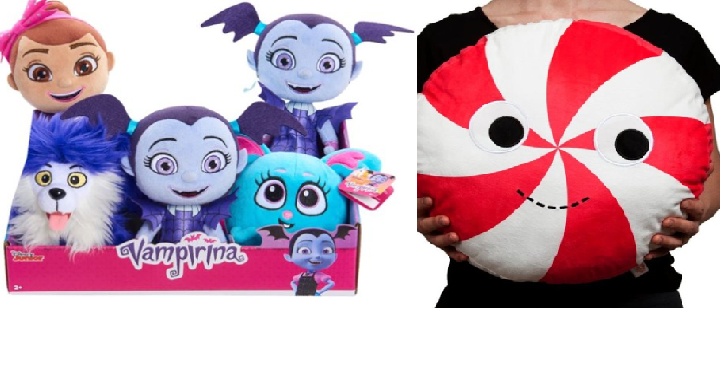 You can shop from Vampirina, The Incredibles, Mickey and Minnie, Minecraft, and so much more. These would make fun Easter basket toys. Plus, if available, choose in-store pickup to save on shipping.